Marriage is an event that draws two people together. It adds more colors to life. Several factors like family, customs, gender, tradition, thinking pattern, upbringing, education, etc. affects the choice between love marriage and arranged marriage. Love doesn’t happen by way of planning. It does not involve any pros and con analysis. It just happens; it is a magic. It is still a mystery how people feel attracted and attached to each other. Marriage is only a subsequent event. On the other hand, arranged marriage requires lots of planning and analysis. What-may-go-wrong analysis will prevail over will-the-couple-be happy. In such marriages, love may or may not arise. People get along with each other due to habit than love. In India, the number of arranged marriages outshines the number of love marriages. Most of the times, the girl would be forced into the institution. Education, women empowerment, freedom and equality have not made any difference to the situation. Even today we hear stories of harassment and murders. Such news only multiplies the fears of a potential bride. Further, pre-marital affairs have become very common. Most of the times, such relationships involve no commitment. Various emotions like guilt, regret, fear and insecurity would complicate matters. 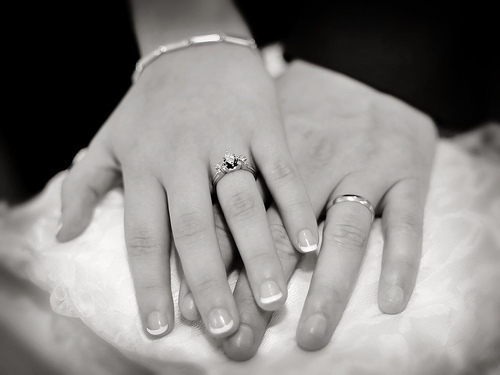 As a result, choosing between love marriage and arranged marriage becomes very difficult. These days, people fall in love seeing the physical attributes which is temporary. Also, people might fake to attain their love. Arrange marriage focuses on the nature and characteristics of the individuals. The couple, being united by marriage, requires less faking. In the case of misunderstandings, instead of blaming each other and finding faults, they should try to resolve the problem. If it is arranged marriage, support from family will always be available. But, that may not be the case with love marriage. As a matter of fact, love marriage or arranged marriage, the success depends upon how the couple handles the circumstances. One day, Lakshmi aunty said, “Vasu, Please be frank. Don’t panic. You can tell me. And I will help you. Are you straight?” Then, Lakshmi aunty placed her hands on Vasu’s thighs and pressed it hard. That gesture made Vasu realize why Lakshmi aunty was never married­­­. “Vasu beta, this is your father’s duty. We have selected a very good boy who is working in America. He is well settled and the family is also good. Please consider him”, her mother remarked. “Mamma, please give me a break. I am not interested in getting married. What is this? You people have nothing else to talk to me? You were so reluctant to send me to Chennai for a job because it was ‘too far away from Bangalore’. But, America is nearby, isn’t it? What is wrong with you all?” Vasundhara sighed. “Look Vasu, you have to marry someone by this year end. At least get engaged. This is high time”, said her father in a stern voice. “Is this a deadline or something? Pappa, how can I marry a complete stranger? How can I lead a life with him?”Vasu started sobbing. “Stranger! He will be your husband!” her mother exclaimed with a voice filled with irritation. She has been going through this for past three years. Everyone in the World acts as if their purpose of life is her marriage! “What is this Vasu? Are you in love?” her father asked. Her mother looked bewildered, yet she nodded in approval of her father’s interrogation. “Oh my God! This is the limit. I am only twenty six years old. Don’t act as if I am forty. I am not into any love-shov. I am just not interested.” said Vasu and rushed into her room and banged the door. She lay on the bed and stared at the ceiling. She looked at the walls painted in red with heart-like designs running all over it. She recalled those days when she had spent hours surfing the internet for finalizing her room design. Her room was a delight. There was a big showcase displaying all the dolls and souvenirs she had collected since childhood. She drew the huge teddy towards her as fresh tears rolled out from her cheeks. She wondered how she could ever leave all those tiny little things she was so attached to. Those were a part of her life. They defined her identity. She was scared. Being the only daughter, she had had all the freedom in the World. She doubted if that freedom would continue after marriage too. She was worried about how her in-laws would be. Fresh tears rolled down on thinking of leaving her parents after marriage. Most importantly, she was scared of the stranger who would walk into her life and tie the knot; the knot that would give him the license to own her. She feared about his habits and character. She wondered what would happen if their compatibility was low. She was dead scared. She did not understand the concept of arranged marriage. She wondered why she should leave everything behind for some random stranger. She did not understand why she should sacrifice her life for him. How one can choose the soul mate within a matter of few minutes? Will there be love at all? Is falling in love so simple? She recalled how madly she was in love with Karthik. He was her childhood friend. Yet, it took three long years to accept his proposal. That was when they were studying engineering. She recalled those days of togetherness. Their friends were happy for them and they were happy together. The trail of thoughts brought more tears. She was unsure whether she should tell about Karthik to her fiancé at all. But, she did not know what to say and what not to say. She wondered if he would understand. She was scared about the consequences. She wondered what went wrong with their relationship. Was that due to their immaturity? Was that due to possessiveness? Did they fail to handle the long distance relationship? It was three years since they had met each other; they were not in touch either. Vasu’s mother went away. She cried more. She felt disgusted at the thought of dressing up to meet a complete stranger. She wanted to curse the guy. But alas! She didn’t even know the name. She wondered how she could go to America after marriage. Karthik was in America too. She felt emotionally drained. She wondered if she should tell her mother about Karthik. But what would she say? That they have broke up now? That geographic difference caused a rupture in their relationship? What difference would that confession make? She opened the wardrobe and chose a yellow kurtha and white leggings. She did not care for any accessories. She was not going there to impress him, after all. “Tell that guy that I will be sitting inside the car and give him the number of our car. But please, this is the last time”, she said with irritation. As she drove the car, Vasu wondered why she agreed to this. She felt as if someone was going to strip her naked in public. Tears rolled down her cheeks smudging the kajal. She did not care about that. She did not care about anything. She felt like calling Karthik. But, she knew he would be sleeping. She did not want to disturb him. She reached The ISKCON temple. She turned on the radio hoping that the songs would interrupt her thought. “Those were the best days of my life…….” Bryan Adams’ voice made her nostalgic. She smiled. How ironic, she thought. She realized that radio was a bad idea and got out from the car. She stared all around expecting the stranger. Suddenly someone grabbed her hands from behind. She turned with anger and then, for a moment nothing registered to her brain; not the sound of traffic, or the person standing in front of her. She just stood there gazing at him. He looked the same except for a different looking frame for specs. He was wearing a white shirt and light blue jeans. He looked fairer than before. “So what are you doing here?”, he asked. She felt embarrassed to tell him that she was actually there to meet a potential groom. What would he think about her? They looked into each other’s eyes. She knew that she was still in love with him. She felt as if nothing had changed. She stood there with mouth wide open. He squeezed her hands. It was said in such haste, yet with so much love that she stood there immersed in his eyes. Her mobile started ringing and it was her mother. “Vasu, ready to become Mrs. Karthik?” Her mother sounded very happy and excited. Vasu wanted to hug her parents tight. She felt overwhelmed that her parents arranged both love and marriage for her. She was flabbergasted when Karthik took her hands and put a dazzling platinum ring studded with diamonds on her ring finger.